We’ve seen about the same conditions in Frankfurt as last year (adjustments of 17:55 vs. 18:27 in 2013, leading to a new course rating of 13:30) – confirming Frankfurt as one of the faster courses on the IM calendar. However, this year was especially quick on the bike (adjustment of 13:19 with a new bike rating of 8:27), and the hot conditions slowed things down on the run (adjustment o 1:33 and a new run rating of 2:10). By winning his first Ironman race, Sebastian Kienle had a great 30th birthday. He took control of the race with a fantastic new bike course record of 4:12 (eight minutes faster than the old record by Andreas Raelert), then also finished with his first marathon under 2:50. Frederik van Lierde ran a bit faster than Sebi, but didn’t have a chance after the bike – even if his 4:21 was the second fastest bike split. In his IM debut, Jan Frodeno had some bad luck: First he tore his wetsuit before the swim (luckily he found a replacement in time) and then had three flats and had to wait for tech support to change his rear wheel. He was cramping even before starting the run in the changing tent, then had to stop and stretch and walked most of the aid stations in the second half of the run. I have no idea how he managed to have the fastest run split of the day with a 2:43! 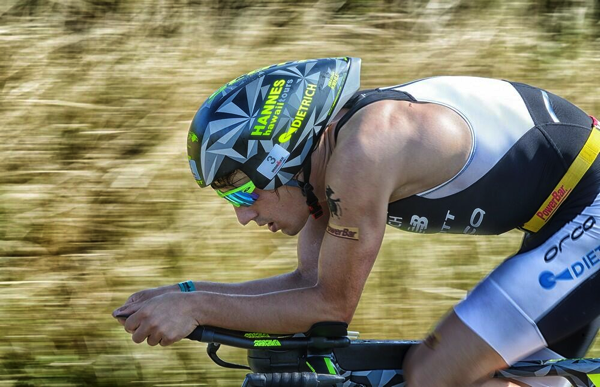 Ronnie Schildknecht also had a good day finishing fourth, probably not quite good enough for a July Kona slot. There were a few notable DNFs: Bas Diederen injured his foot during the swim exit, rode well but couldn’t run at all. Also, Andreas Raelert stopped after 25k on the run while running in forth position. Kona is probably not in the cards this year for these two. While none of the women broke three hours on the run, the race changed a lot on the run. After the bike Jodie Swallow, Camilla Pedersen and Mary Beth Ellis were at the front, but fell back on the run or even DNF’d (Camilla with hip issues). There was a lot of talk after the race that a lot of the Pro women were caught in groups of strong AG men. (Gina Crawford described her frustration in her Frankfurt race report.) While there is personal responsibility by each athlete, this situation could have been avoided by not starting the Pro women together with the fastest age groupers. 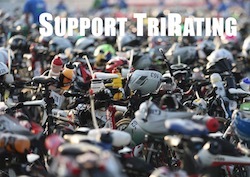 After Brasil and Frankfurt it seems obvious that there should be separate starts for Pro men, Pro women and age groupers, with as large a gap as possible between these three groups. Jodie held the lead until about the half way on the run, then faded to 7th place. Corinne Abraham had the strongest bike/run combo and took her second Regional Championship after Melbourne 2013 and a long, frustrating injury. Elizabeth Lyles finished second, running down Gina Crawford who finished third. Kristin Möller had the best run split, but as for Ronnie on the men’s side, the points for fourth place are probably not enough for her to qualify. Amy Marsh in 5th and Natascha Badmann in 6th (posting a 4:44 and new bike course record!) raced well, but started with probably too few points to get a July slot for Kona. 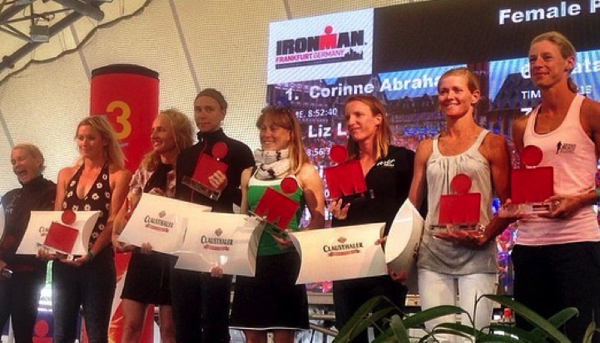 Jodie in 7th and Mary Beth in 8th already had a lot of Kona points and should now be safe for a Kona slot. Eva Wutti was also fighting for a good place, she was near the front of the race and apparently collapsed exhausted just a kilometer before the finish.